NEW YORK, NY: NYC Wholesale Diamonds designs a wide selection of styles with Diamonds complementing Peridot, the birthstone for August. 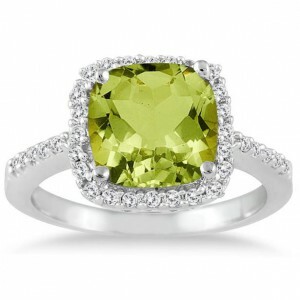 Peridot (pronounced pair-a-doe) is the gem variety of olivine. Peridot is the birthstone for August and the zodiac stone for the constellation Libra (astrological sources refer to peridot as Chrysolite). Peridot is associated with the values of fame, dignity, protection, and success.